When it comes to keeping your drains clean and free-flowing, there really is no exception: natural drain cleaners will not only be better for your health, but they will also help to maintain the quality of your pipes in the long run. Chemical drain cleaners can be incredibly harsh, eventually leading to extensive pipe corrosion over time. Chemical drain cleaners that are acid-based are generally considered to be the riskiest, as they have the potential to damage the softer portions of your drain / pipes, particularly those components that are made of rubber. Along with causing damage to your drain system, the majority of chemical drain cleaners also have the potential to cause you and your loved ones harm, especially if these dangerous chemicals come into contact with the skin or the eyes. Many home owners are reluctant to utilise natural drain cleaners as they are under the impression that they will not have as strong an effect on the state of the drains as a professional chemical product will. However, as long as you make use of the right natural drain cleaners (some of which you can even make at home yourself), and utilise them regularly and consistently, the end results should be the same. Ultimately, natural drain cleaners are your best bet. But how do you ensure that the ‘natural’ drain cleaning solution that you are using is, in fact, all natural? You make it yourself, of course! All that you will need in order to do this is some vinegar, some baking soda and plenty of boiling hot water. Begin by measuring out a ½ a cup (125 ml) of baking soda and pouring it down the drain. Wait a few minutes while you measure out a cup (250 ml) of vinegar. Pour the vinegar down the drain very slowly. Leave for at least ten minutes whilst you boil a full kettle of water. Finally, pour the boiling water down the drain, and VOILA! Your pipes will be clear and fresh for a long time to come. 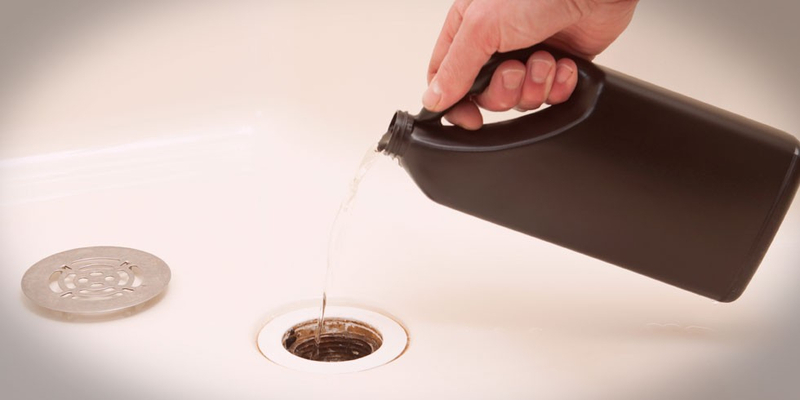 In order to ensure that drain blockages are truly a thing of the past, perform this drain cleaning process on all of the drains in your home twice every month (or more often if necessary). For more tips on how to deal with household emergencies, such as blocked drains, be sure to download the latest MiWay eBook entitled “The Household Emergencies Handbook”. Don’t forget to invest in reliable home insurance - contact MiWay today for a hassle-free, no-obligations quote. To find out how to avoid drain blockages, click here.